We currently hold two licenses issued by the Indiana Department of Natural Resources. One is the Shooting Preserve License and the other is the Dog Training Grounds License. 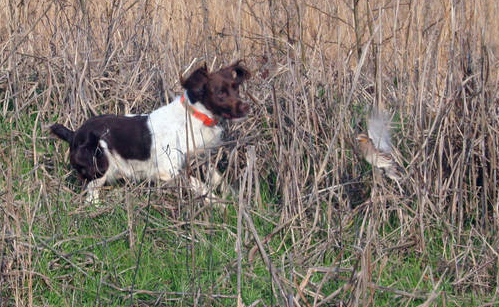 These licenses allow us to release game birds year round for dog training purposes. Dog training areas allow the use of quail and pheasants for dog training year-around. Pigeons, chuckars and other non-native birds can be used year around on any grounds in the State of Indiana. Attached is a game bird synopsis from the Indiana DNR. Also attached are the Federal regulations which govern the use of captive mallards for dog training for any areas in Indiana.